The 12th Annual Congress of Natalie Tours’ managers was held at the majestic Atlantis the Palm recently. 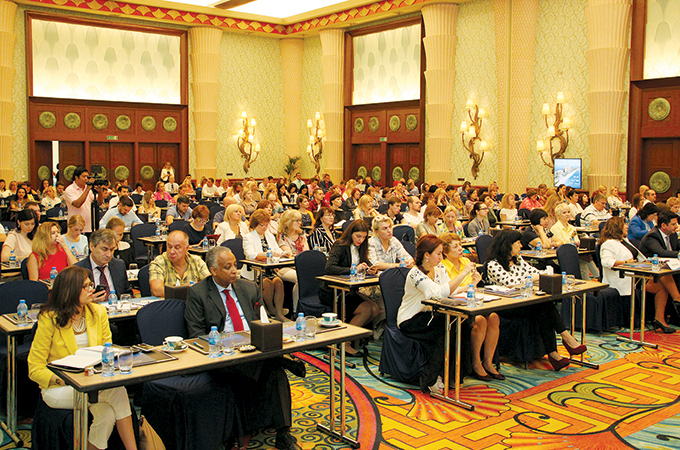 The event brought together over 200 CEOs and owners of Russian travel agencies, the best performers for Destination UAE. Natalie Tours is the number one agency for UAE inbound tourists, and handles in excess of 15 per cent of the Russian tourists entering the country. For two decades now, the leading Russian tour operator with 25 years in travel services has been organizing the annual event to award best sellers, discuss further cooperation with top managers of retail companies and motivate its partners to promote Natalie Tour’s services in the UAE. The event was attended by high level representatives of Alpha Tours - a long-standing partner of the travel agency in the UAE, UAE travel officers, state and municipal bodies, UAE Migration Service, as well as the leading airline operators flydubai and Emirates, representatives of hotels, and hotel networks, mass media. The top players of the Russian tourist market who gathered in Dubai expressed confidence that the major factor driving up the demand for UAE tours is the removal of visa restrictions that came into effect in February 2017. Sales of tours to the UAE have doubled since, and the rate of growth is moving upwards. The fact that that UAE is ranked second as the world’s safest country according to the World Economic Forum plays a key role in its popularity among family vacation seekers. With the opening of big-ticket amusements parks in Dubai, the city has become an all-season hit destination among families in Russia.